Trained as a painter in Chicago, Paris, and New York, Biederman began his signature experiments with aluminum relief sculpture after moving to southeast Minnesota in 1942. Like the textile objects shown in this gallery, Work #27, Redwing is an exploration of layered abstraction in geometric form and color. 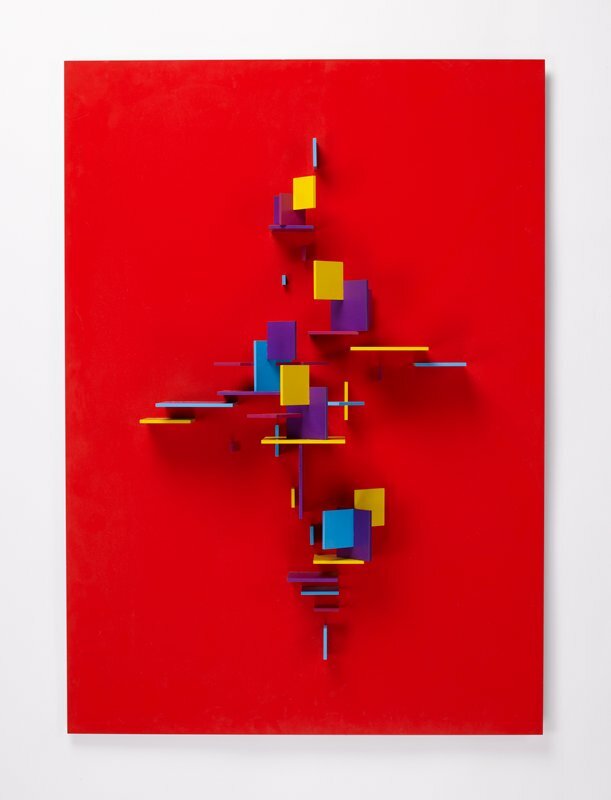 Biederman layered geometric shapes one atop or next to another, creating a multiplicity of shadows, planes, and color contrasts that shift as one walks around the piece. Biederman's precise geometric vocabulary is thus rooted in early explorations of abstraction such as Cubism, to which he was exposed in New York and Paris in the 1930s. For later works such as Work #27, Redwing, Biederman drew inspiration from the natural environment near his home in Red Wing, a picturesque town on the Mississippi River.